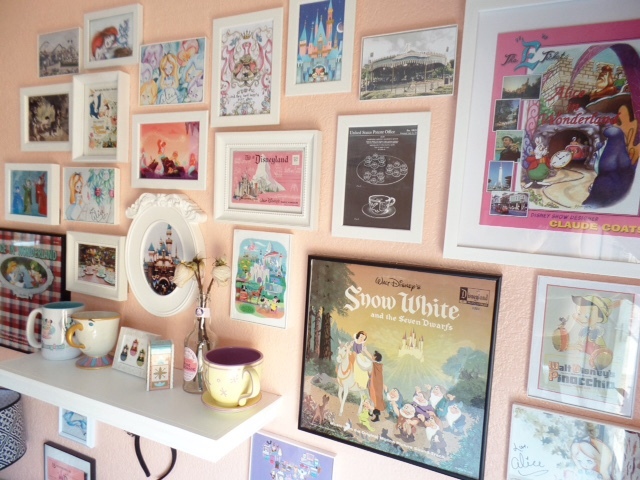 I am so excited to finally get to share this post with you all, today I am going to share my Disney wall. 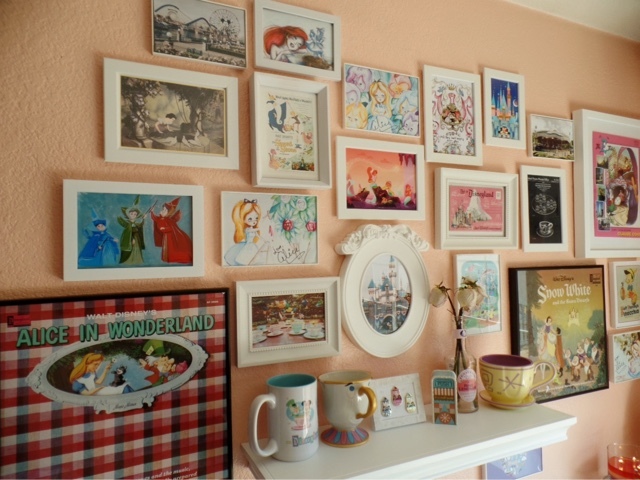 I will be discussing every single photo/art that I have hanging on my wall along with the items on my desk and shelf. I have gotten a big amount of questions regarding my wall and on IG I asked if you guys would like to see a blog post or video about my wall. It was close to a tie. I decided to do both make a video about my wall since it would be a lot more easier for me to talk about things rather than me typing every word. I also took some up close photos of everything that way you guys can get a better look at certain things. Down below I have more into on every prints that I mentioned in the video along with links to some shops that I purchased art from. Now here is the video on my wall, and down below I have photos! 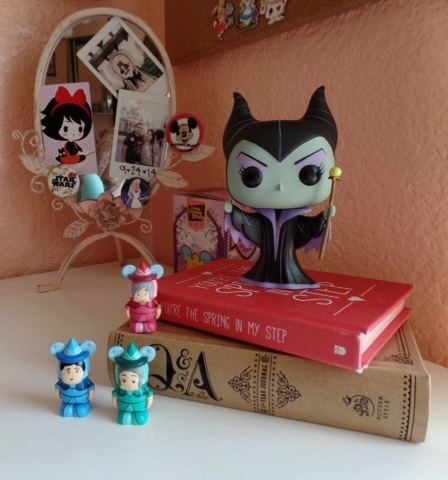 I didn't mention this Maleficent Pop figure or the three good fairies vinylmations on the video because I didn't have them displayed until after I filmed the video. Maleficent was given to me three Christmas ago by my sister in law and the good fairies Rudy recently got for me from eBay. The frames with more details are from Ikea. 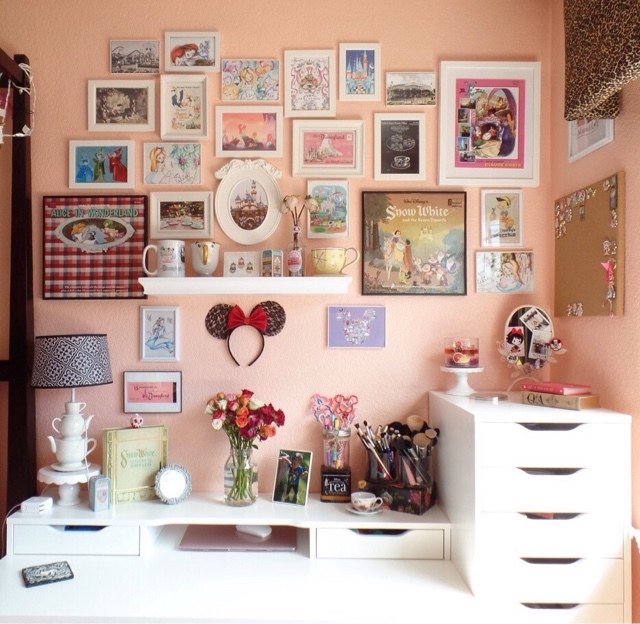 Smaller white frames with a small boarder are from Walmart. All other frames from Tj Maxx/Marshall's. If there is any question you guys may have please let me know I'd be more than happy to answer. 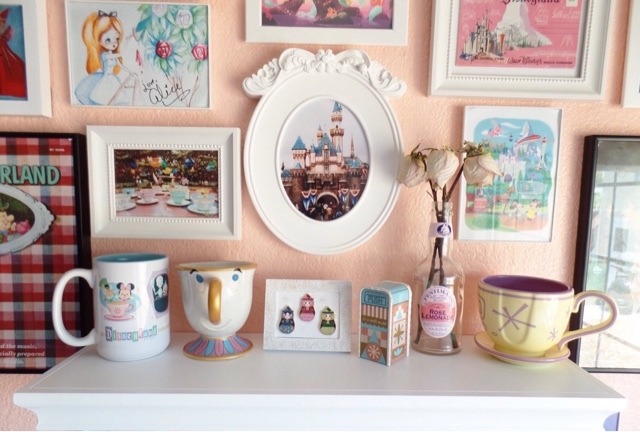 This was a lot of fun to film and blog about because I am so happy with how it turned out. 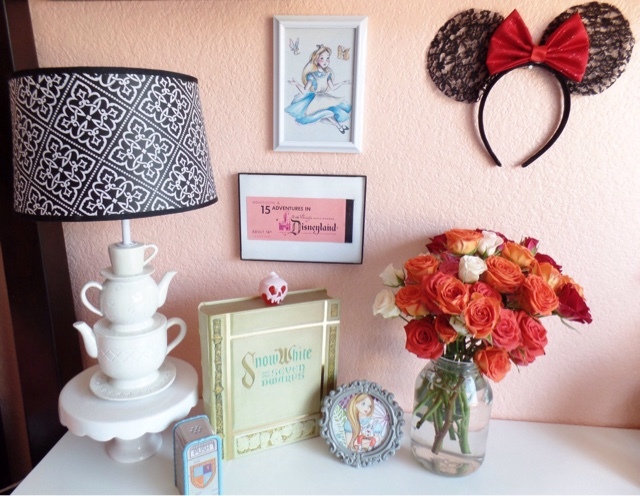 This was only one corner of my room I have lots more Disney arts and pieces throughout my entire room as well! I hope you all enjoyed it. What is your favorite piece or art from the photos/video? Thank you, I want to start on another wall. Beautiful display! 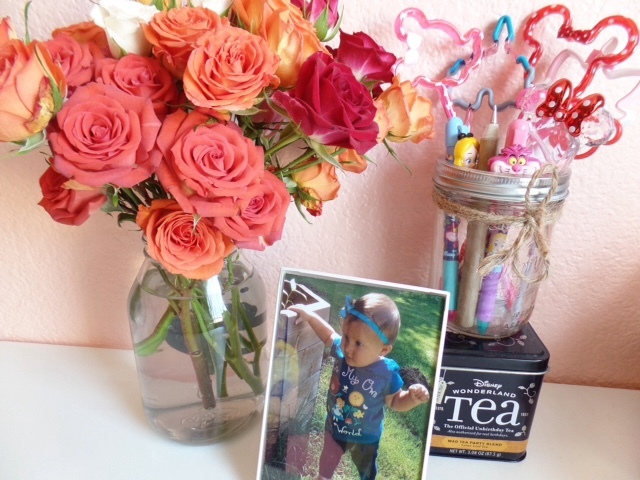 Loved your video and how you let us know where you purchased your treasures. I actually have a lot of the same things and prints from the same artists. Thank you so much for sharing!